How Fast is 4G Wireless Internet Service? 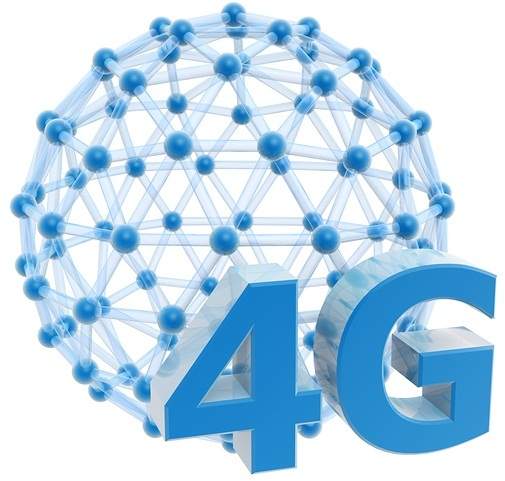 If you've ever bought a cell phone in your life, you know that 4G is the standard speed of wireless carriers. All internet speeds can be kind of confusing (56K? 12Mpbs?) to the average user, so how fast is 4G LTE Internet service? If you want to find out how fast 4G internet is, you need to start out by rephrasing your question. It's not so much how fast 4G internet service is supposed to be or is claimed to be in marketing campaigns, but how fast your 4G internet will really be in your everyday use. While some services like AT&T have 4G speeds with a download capability as high as 20+ Mbps, that speed is not even close to the norm. As it turns out, cell service providers try to have their "4G Internet" to have average speed of 8Mbps. Why? 8Mbps is the speed needed to deliver HD video streaming, one of the most data-heavy applications users choose. So how fast is 4G internet? Well, it's not going to be as fast as you thought, and it also depends on your service provider. What Provider Offers the Fastest 4G Internet? As you can see, AT&T offered the fastest 4G service among the top providers, but even they were a long ways off from offering 8Mbps consistently. For the record, the study showed that T-Mobile delivered advertised speeds of 8Mbps more than 80% percent of the time, but because their coverage area was so much smaller, it seemed unfair to compare them to the bigger providers. So why are all these companies allowed to call their service "4G" when their actual speeds are falling way short of that? Realistically, there is no governing body that decides who gets to use the term "4G" and who doesn't. When you really think about it, there's not even a clear definition as to what actually qualifies as 4G. At this point, if a provider offers service that is a little better than 3G (whatever that is, right? ), it will market itself as 4G. For you as the consumer, this just essentially means, "Buyer beware." Regardless of whether or not a carrier calls its service 4G, comparing performance speeds is the only way to truly see which networks deliver the speed you want. No matter what the provider claims in their commercials, advertisements and marketing campaigns, wireless speeds do not compare with home broadband speeds. As it turns out, the speed of 4G internet changes depending on what area you're in. If you are in an area served by 4G, you probably can get get home high speed Internet via cable or DSL--maybe even Fiber, if you're really lucky. If this is the case, your 4G may actually be 4G, or at least as close as it will get. What if you live in a more rural area? How Fast is '3G' Internet as Compare to '4G' LTE Internet for Outsiders? If you live and work outside of a broad 4G area, your 4G experience is going to be a lot different and, sorry to say, a lot slower. The technology simply isn't there, so you'll be experiencing speeds similar to 3G. How fast is 3G? When compared to standard satellite internet speeds, 3G speeds are slow to say the least, and we all know that satellite internet service isn't really that fast, especially when compared to cable or high speed DSL service. What's more, because of data caps, wireless providers cannot deliver the speed you want for home broadband needs. If you are considering signing up for 4G wireless service, first compare the speeds of the different providers serving your area. Remember, just the label "4G" is not enough. Don't pay more for a plan that includes the word "4G" when you might be able to pay less for 3G and get the same speed in the end. Do your research to find out which is the most consistent and fastest wireless provider in your area.